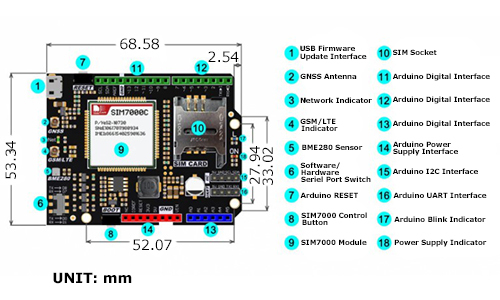 NB-IoT (Narrow Band-Internet of Things) technology is a new IoT technical branch and supports cellular data network connection of low power consumption device in WAN (Wide Area Network), which also called as LPWAN. 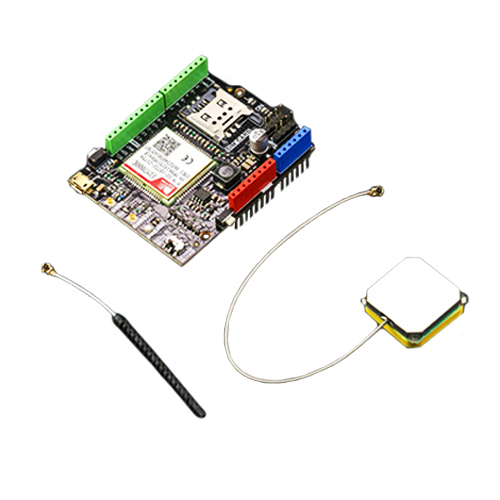 NB-IoT operates in authorized frequency spectrum. It can be directly deployed to GSM, UMTS, LTE without any interference of current networks, while the bandwidth consumption is just about 180KHz. 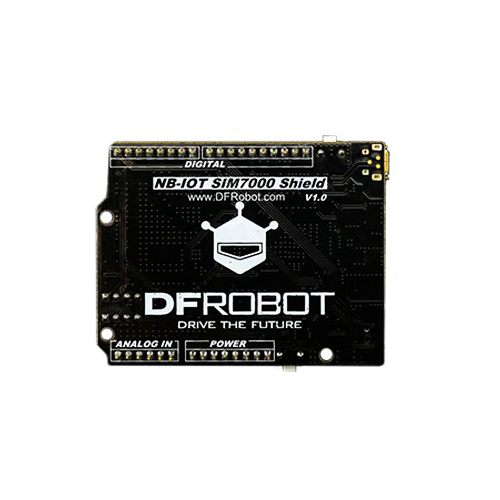 This SIM7000E Arduino NB-IoT/LTE/GPRS expansion shield is a wireless communication module produced by DFRobot and the design is based on SIMCom SIM7000E. 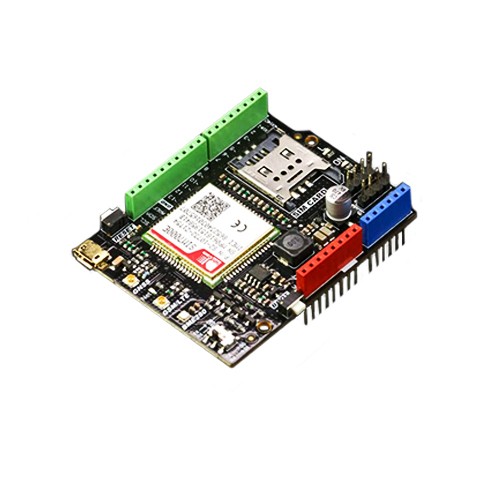 This wireless communication module is designed for Arduino controllers, supporting multi-frequency LTE-FDD communication, dual-frequency GPRS/EDGE communication, NB-IoT communication. 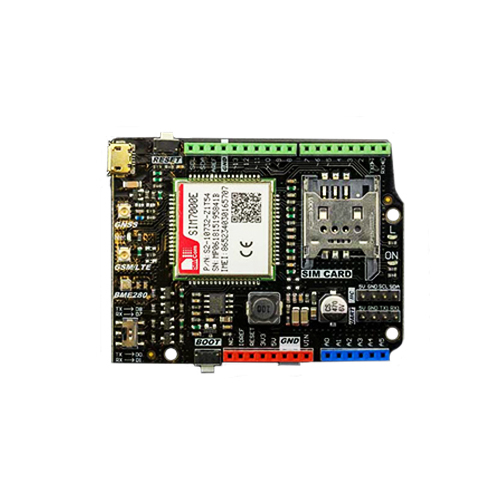 No matter prototype developments or small-batch productions, SIM7000C Arduino NB-IoT/LTE/GPRS expansion shield is the best solution to applications of low power consumption, low latency and meddle-throughput. Besides onboard GNSS (Global Navigation Satellite System), SIM7000E supports American GPS, Russian GLONASS, European Galileo, Japanese QZSS and Chinese BeiDou Navigation Satellite System. It can be widely applied to IoT applications such as long-distance control, moving tracking, long distance data uploading and shared bikes. 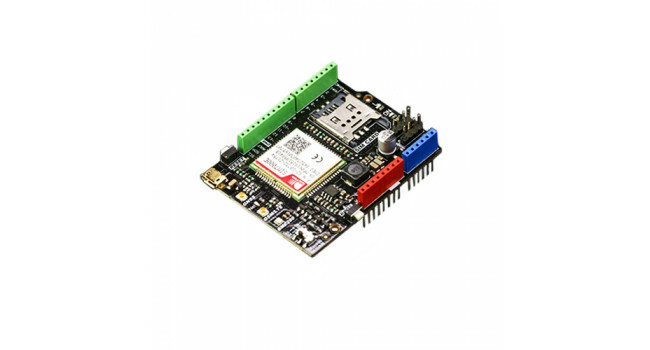 Support SIM card and NB-IoT card (NOTE: Please ensure the SIM frequency range been used is included in the frequency range it supports). DB9 to RS232 TTL module The smallest and easiest to use serial conversion circuit on the market! This board has one purpose in life - to convert RS232 to TTL and vice versa (TX and RX). This will a..
HDMI LCD Controller - 40 Pin The HDMI LCD Controller is also known as PCB800099/VS-TY2662-V1 which is based on the Realtek RTD2662 controller. Key Features Two composite inputs It su..
LM2596S DC-DC Voltage Regulator Adjustable Vin 3.2V - 40VDC Vout 1.25V - 35VDC The DC-DC Step-down Adjustable Power Supply Module is based on monolithic integrated circuit LM2596, ideally suited fo..